Even Mitt Romney’s defenders admit that he chose his words poorly when, on Wednesday morning, he told CNN that “I’m not concerned about the very poor.” But many of these defenders say the quote is innocuous once you read it in context and realize what Romney was really trying to say. Well, I’ve read the quote in context and have a pretty good idea what Romney was trying to say. I would hardly describe it as innocuous. To give Romney his due, he clearly wasn't saying that he was indifferent to the very poor. And I assume that, deep in his heart, he is not. Instead, Romney was saying that, as president, he wouldn’t make the very poor a top priority, because they are doing well enough, at least relative to the middle class. But where on earth did Romney get that idea? The statistics tell a rather different story. Last year, for example, more than half of all children in poor households experienced a major hardship such as hunger or living in overcrowded living conditions, according to an analysis from the Center on Budget and Policy Priorities. And if statistics like that are too abstract for Romney, perhaps he should spend some time in a clinic for the uninsured or a soup kitchen. If he did, he'd discover that life for the very poor is still very hard. They struggle just to pay for food and heat, let alone rent. Most of these people get by – people almost always find a way to get by – but it’s not a life that Romney or anybody else would want for themselves or their loved ones. Romney is correct that a safety net exists for these people: Food stamps, and housing vouchers, and public health insurance save countless Americans from even worse hardship and, in the best of cases, help lift them into the middle class, where they stay. But the programs are not generous enough, or expansive enough, to do the job adequately. In most states, for example, only mothers and children are eligible for basic health insurance under Medicaid. Housing vouchers and subsidized child care, frequently essential for mothers who want to work, typically have long waiting lists. The value and reach of cash assistance (welfare) has actually declined in relative terms. And while Romney vowed “to repair” holes in the safety net, the policies he has proposed would have the very opposite effect. 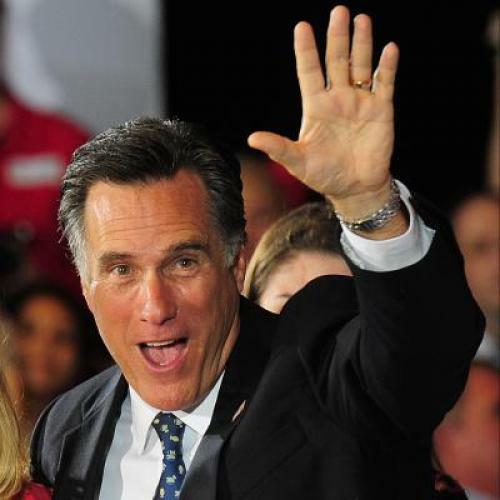 Romney has vowed to repeal the Affordable Care Act, effectively taking subsidized health insurance away from about 30 million people slated to get it starting in 2014. Romney has also pledged to reduce non-defense spending to 16 percent of gross domestic product. That target would, by Romney's own admission, require half a trillion dollar in cuts in 2016, above and beyond cuts already scheduled to take place next year. There's a legitimate conservative argument in favor of reforming safety net programs and, in the process, realizing efficiencies that would make them less expensive. (John McCormack gives a version of it in the Weekly Standard.) And while I don't usually find that argument convincing, I believe well-intentioned people can disagree about its merits. Romney's plan, however, would require cuts that go well beyond any realistic expectation of savings from efficiency. As noted here and by the Center on Budget, there's simply no way to take that much money out of social services, in such a short time span, without reducing the assistance that people get and very much need. But all of this misses the real problem with Romney’s statements: His suggestion that the safety net matters to only the a small class of people, constituting less than 10 percent of the population, who have the problems he associates with the "very poor." Hardship is actually a lot more widespread than that. According to the latest Census figures, 15 percent of Americans and 22 percent of children live below the poverty line. Keep in mind that the poverty line in 2011 was around $22,000 in annual income for a family of four. That doesn’t go very far. Romney’s political strategy here seems clear to me: He’s trying to drive a wedge between the poor and the middle class, convincing the latter that they lose out to the former when Democrats are in charge. And the strategy may work. It's certainly helped Republicans before. But the big beneficiary of Romney's plan to reorder fiscal priorities is not the middle class. It's the very wealthy, who would get substantial tax benefits and who will usually be fine with weakened public services. So maybe Romney's quote is misleading after all. It suggests that only the poor would be afterthoughts in a Romney presidency, when even many non-poor Americans would be forgotten, too.